Home to more than 500, 000 people, Tucson, Arizona is a wondrous city of neighborhoods, metropolitan entities, and spectacular history. 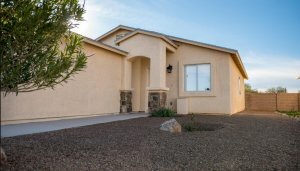 If you are eager to sell your home in Tucson, you have a number of options available to you. This is something important to keep in mind. Yes, you can opt for the traditional Tucson real estate market. However, this is a process that can take weeks, even months. Furthermore, it is also a process that can wind up costing tens of thousands of dollars. We aren’t trying to knock the real estate market. It just isn’t a good fit for absolutely everyone. This is where Dependable Homebuyers becomes an intriguing possibility. 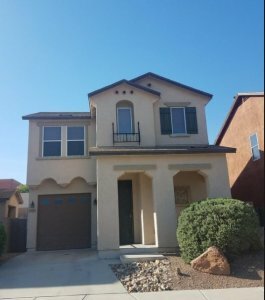 We are an independent group who are interested in buying homes throughout not only Tucson, but the state of Arizona, as well. In fact, we are a national home-buying company. As such, we have a national reputation for being one of the most straightforward options for selling your home anywhere. We can promise you a direct deposit in just a handful of days. In other words, we are willing to pay you cash for your home. More to the point, we are willing to buy your home in ANY CONDITION. 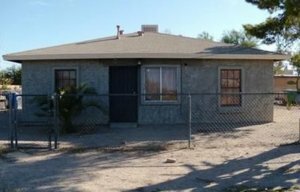 Yes, we are willing to pay a generous amount for your AS IS Tucson home. Imagine being able to sell your home quickly and painlessly. Even better, imagine being able to sell your home for a tidy profit. We can bring these features to you. Our experience has allowed us to comprehensively streamline the entire home-buying process. We can make you an offer within just a 24 hours of the point of contact. We will conduct our own research, which will include a brief visit to your property. Within twenty-four hours, or less, we will make you an offer on your property. It is entirely up to you, as to whether or not you accept this offer. If you do accept, we can promise you the money within seven days of your agreement. That is the entire experience with Dependable Homebuyers in a nutshell. We have worked with homeowners all across the United States. Our reputation is peerless, when it comes to not only transparency, but also in terms of our generosity. We can promise you an excellent price for your home, regardless of its condition. In many situations, Dependable Homebuyers is the best way to make the most amount of money from your home. Even if you have never sold a home before, it seems likely that you have at least some idea of what the process entails. It starts by hiring a real estate agent. This alone can take several weeks, as you certainly want to find someone who knows what they are doing. Hiring a realtor also means spending money and/or eating into your ROI on the sale of the home. This is where things can start to get a little frustrating. You may have to get your home listed on various real estate websites. Some of these are free, but ultimately, the best ones are going to charge you on one level or another. You will need to take photos, create a good impression, and deal with any questions that may come your way. We haven’t even gotten to the point of getting the house ready to show people. Are you starting to dread the whole thing? Okay, we have now gotten to the point in which you are probably ready to show the home to potential buyers. You may have to pay for an inspection or appraisal beforehand. In most situations, this proves to be the case with one or both of those endeavors. Then you have to adhere to the long, drawn-out schedule of making sure the house can be shown to people at any given time. This can be a huge strain on an already hectic schedule. Showing the home to potential buyers, for many people, can be the most stressful part of this whole thing. 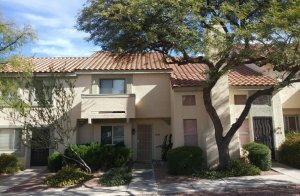 We Buy Townhouses in Tucson! Eventually, if you find someone who is more than just interested, you will get into the negotiation side of things. This means a back-and-forth exchange in which everyone agrees to the price. Keep in mind that at any point in the negotiation process, your potential buyer can opt to just walk away. That means starting the whole thing over from the very beginning. That doesn’t sound very appealing. By the time everything is said and done, you have likely surrendered a good deal of time, and probably money. You may have to pay for some repairs or other types of work on the home. This can wind up costing you thousands of dollars, if not more. Some people actually sell their homes and wind up with less money than when they started. That may sound incredibly hard to believe, but it is the truth. Again, Dependable Homebuyers gives you the ability to avoid all of that. At Dependable Homebuyers, we aren’t interested in anything we just described above. We are interested in buying homes as quickly as possible. We do not work with realtors, contractors, banks, or any other type of lending institution. We operate entirely on our own, drawing from our own financial resources. We are interested in buying homes in any condition. Even if the house has seen considerable damage, or if you still owe a great deal of money, we are still going to be interested. We want to buy your home quickly, and we want to give you the fair market value for it. 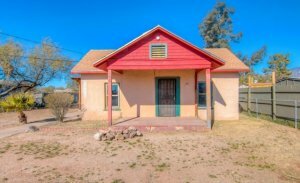 Yes, selling your house in Tucson really can be that simple. Again, even if your home is in less-than-stellar condition, we are going to be interested. We love the opportunity to restore a worn-down home to its former glory. We aren’t going to ask you to do a thing to that end. Once you have sold us your home, our business has concluded. The money will be deposited directly into your account, and you can get on with your life. Regardless of why you need money, this is one of the fastest, safest, and most straightforward ways to get what you need. Quit procrastinating! If you need to sell your property in Tucson, AZ, then give us a call at (855) 741-4848! We are an independent company that buys homes directly from homeowners just like you. While we have a significant amount of insight and experience into the Tucson real estate market, we are a national company. In other words, our experience extends to buying homes all throughout the United States. Our reputation is a national one. We have established ourselves as a company that offers generous cash amounts for homes, regardless of the condition they might be in. The last thing you want to do is deprive yourself of at least the opportunity to see what we are all about. Ask anyone who has sold their home to Dependable Homebuyers. They will tell you that the experience was extremely straightforward. We conduct some basic research, once the point of contact has been established. Once the research has been completed, which is within 24 hours, we will come to you with a fair market offer for your home. This price will not change. We are not going to ask you to perform an inspection or appraisal. We will not ask you to do anything. What happens is we make the offer, and then you decide whether or not to accept the offer. If you do accept our offer, the money will be directly into your bank account. Is it really that simple? You better believe that it will be. We don’t want to hold you up any more than we want to waste our own valuable time. We buy homes in bulk, so it is generally in our best interests to stick with the most straightforward process possible. And when we promise to buy your home in any condition imaginable, we really aren’t kidding. The last thing you want to do is look around your home, see dozens of potential problems, and opt against trying to sell the property at all. While the traditional real estate market can make certain demands, with regards to the condition of the property, this is not the case with Dependable Homebuyers. We stand by our assertion that we will buy any home in any condition. It is very rare that we are unable to make an offer. If you have issues with your ceiling, we are going to be interested. If you have a foundation that needs repair work, we are still going to be interested. Even if the home is close to the point of being condemned, we are still going to be interested. At this point, it should be clear that we are not particularly fussy, when it comes to the types of homes we are willing to purchase. 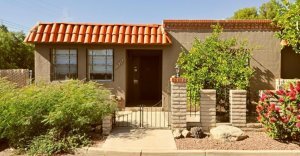 We have bought homes of all shapes and sizes throughout Tucson. If your home is in fantastic condition, that is certainly good news. At the same time, if your home has seen better days, we are still going to be highly interested. At the end of the day, you just won’t know, until you contact us to get things started. You will be amazed at how quickly we can take you through all of this. In just a week or two, you can find yourself with a generous cash offer for your property. If you need money quickly, this is a solution that will generate the end result you are looking for. You may need money for a financial emergency. You may also be at the point in which your home demands more than you can give it. Maintaining a home is expensive and time-consuming. As more and more people embrace the notion of a minimalist lifestyle, the idea of selling your property can obviously become appealing. 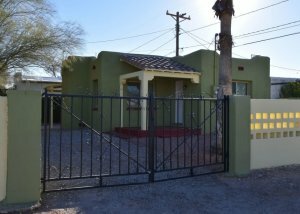 The challenge then comes down to trying to stand out from the crowd in an admittedly-overcrowded Tucson real estate market. The challenges of selling a home through traditional channels makes for a long list indeed. If you opt to sell your home on your own, you can save a little money, but you are still going to find yourself struggling with one obstacle after another. Under no circumstances are we telling you to avoid the real estate market at all costs. In many situations, this is a situation that can work for someone. However, if you find yourself quickly in need of money, or if you need to get rid of a property as quickly as possible, we are the ones who can help you out. Contact us today to get started. We will take care of everything. Selling your home should not be a difficult, time-consuming hassle. You should be able to get the results you need, which translates to getting the money you need, when you need it. There are several different options in front of you. The challenge on your end is to choose something that will generate the best possible results at just the right point in time. Don’t let another moment go by. You deserve to make a good deal of money for your home. You deserve to know exactly what’s going to happen. Selling a home is an endeavor that is fraught with a certain amount of uncertainty. Until someone signs the paperwork taking control of your property, you just can’t say for sure what might happen. We can tell you in no uncertain terms that when you trust what you need to our experts at Dependable Homebuyers, you are going to get the results you have in mind. We can make selling your home the easiest thing in the world. Don’t think for a moment that we aren’t going to be interested. Regardless of the condition of your property, we will be.